Since Bungie announced Season of the Drifter and the new updated Content Roadmap. We have known the name of the spring event, The Revelry. However, up until now, we were unsure of what this entailed. From the early trailer, we could speculate that whatever it was had something to do with the Infinite Forest. 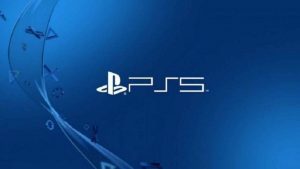 Certainly, we found out we were right, and it’s free to all Destiny players. Eva Levante will return to oversee this event, much like The Dawning. Although, instead of making cookies, we will be making orbs of Light. 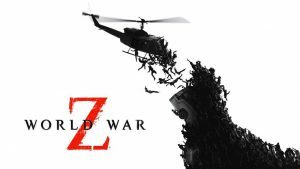 We will have the choice of taking different Tonics that will have our melee, grenade, or Super recharge faster. This, coupled with the new Inaugural Revelry or Vernal Growth armor, will make these Tonics more powerful. Speaking of Inaugural Revelry and Vernal Growth gear, these two new sets of armor can be acquired from this new spring event. 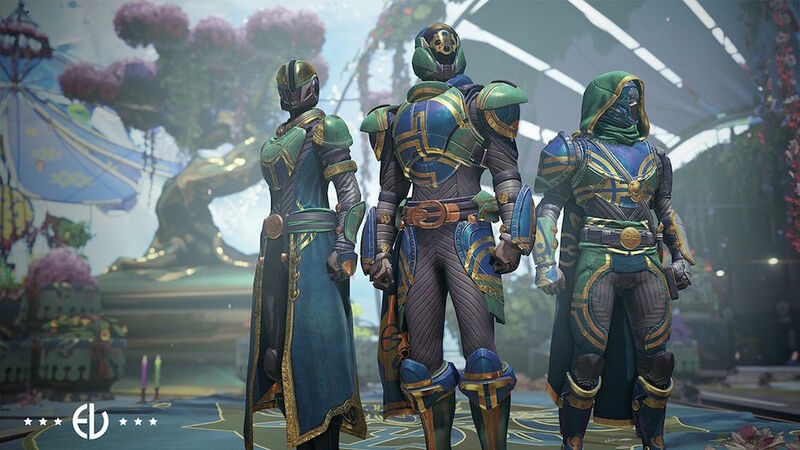 Inaugural Revelry gear is obtained by completing bounties from Eva that will have them drop at powerful engram level, or through the new event the Verdant Forest. This mode is similar to The Haunted Forest from The Festival of the Lost. Although this time, it’s themed for Spring. Your goal is to clear as many rooms as possible, either alone or with a team. The faster you clear the rooms, the more time you will have to take down one of five different bosses and the greater chance you have at having Inaugural Revelry gear drop. The Vernal Growth gear is part of the new Eververse set. Both sets of gear will add enhancements to the Tonics from Eva. The sleek Vernal Growth armor for Warlocks, Titans, and Hunters. The Vernal Growth isn’t the only new thing from Tess this Spring. A whole slew of items will be coming to the silver shop. 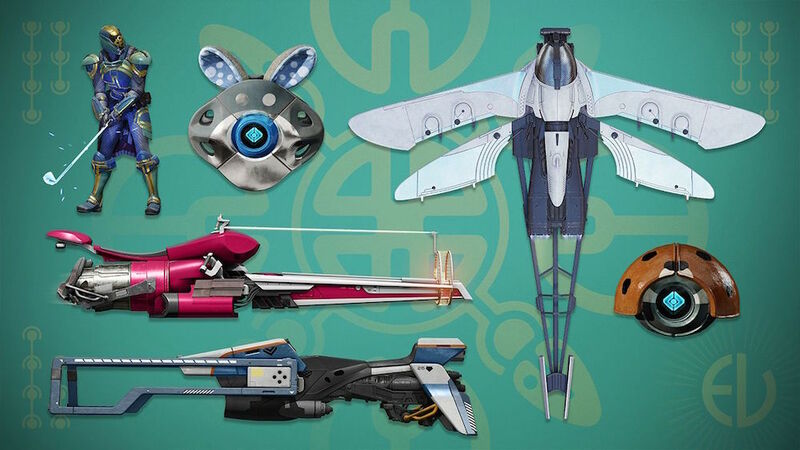 New Ghost shells, ships, sparrows, and emotes will be made available. All items are Spring-themed and can be seen below. 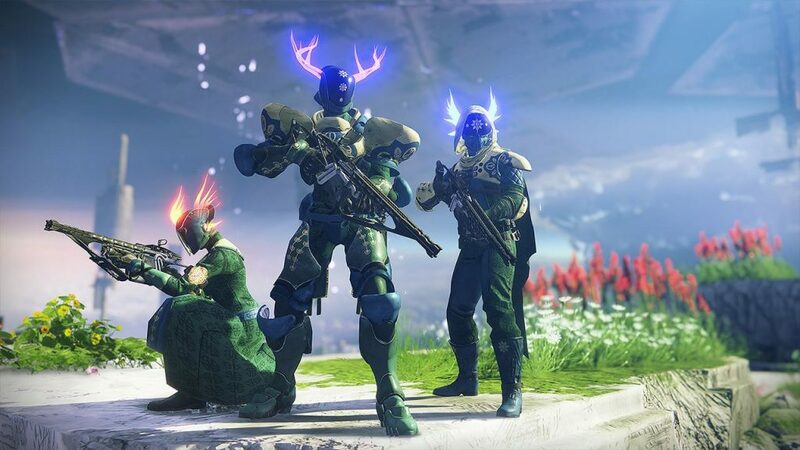 Particularly, the golf emote is especially great, since your Guardians becomes increasingly more angry at their shot and proceeds to destroy their club. Like all past events, Tess will offer double rewards during this event: one from Revelry and then one from Drifter. Some of the new Eververse rewards this Spring. 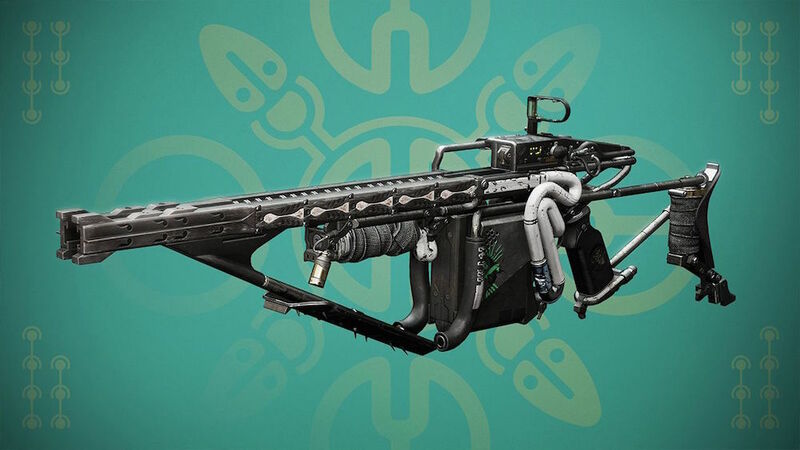 Also, an exotic shown off in The Season of the Drifter has finally been revealed. The Arbalest is a kinetic fusion rifle that will overpenetrate enemy shields. From the sound of it, this weapon will probably be devastating in Gambit, but only time will tell. By completing Triumphs for Revelry and turning in Reveler’s Essence, which is obtained by completing activities, you can acquire this new exotic. We are unsure how much Reveler’s Essence you will need or the exact steps. Certainly, we will have a complete guide on how to get the Arbalest, similar to our guides on The Last Word and Thorn, once we know more. Arbalest, certainly the newest Exotic kinetic fusion rifle. From April 16th to May 7th, you will have a chance to get your Light-baring hands on all of these cool new items. Festival of the Lost was a great event back in October, and The Revelry seems to be shaping up in a similar way. From personal experience, make sure you double down on everything The Revelry has to offer to get as many things as you can. Tess won’t wait long to spring clean and ship all of these items away. For everything you need to know about Destiny, keep your eyes up to PSU, Guardian.